← Is The Black Hole a Good Movie? I may have discovered why Bumblebee is the first Transformers movie to not only get a fresh Rotten Tomatoes rating, but be overwhelmingly popular with critics. It does everything that was proven to be wildly successful in 1999’s The Iron Giant. Let’s go through their similarities. 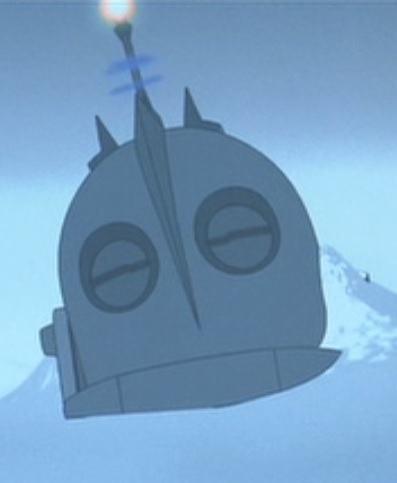 The Iron Giant opens with the titular character falling to Earth like a meteor. We never get an explanation for his arrival or where he came from. Bumblebee actually gives that context for its titular character. After fighting for his life on his home planet of Cybertron, Bumblebee escapes and heads to Earth on a special mission to establish a safe haven for his fellow Autobots to hide from the Decepticons. He gets mistaken for a missile when he first arrives. We get introduced to a young boy named Hogarth Hughes. He lives in a small coastal town in Maine called Rockwell. His single mother works at a diner, and he causes a ruckus when he brings a wild squirrel to show her at the diner. He’s extremely curious, and he loves science fiction and horror movies. Charlie Watson is a girl right on the cusp of turning 18. She lives in a coastal suburb of San Francisco called Brighton Falls. She works in a concession stand at an amusement park, and she accidentally spills drinks all over a popular boy in the course of her work. In her spare time, she is a gifted mechanic and a music connoisseur. 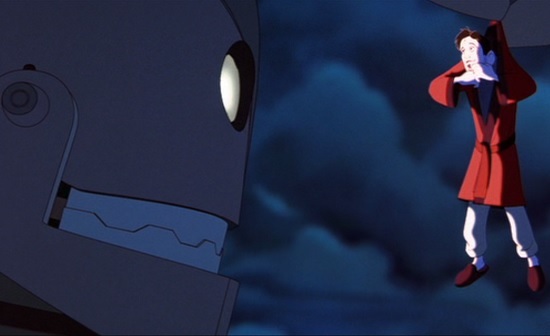 The Iron Giant doesn’t make a big deal about Hogarth being fatherless, but much of the story is about him seeking a father figure in the form of a scrap-metal artist named Dean. That’s only evident on a second viewing, though. Bumblebee is much more explicit about the loss of Charlie’s father. She misses him a lot, and it’s painful for her to think about him. Much of the story is about her coming to terms with his death and the fact that she needs to accept her stepfather and move on with her life. Hogarth first finds the Iron Giant after investigating the late-night disappearance of his TV antenna and a large trail cut through the woods next to his house. He’s scared of the huge robot at first, but he does his best to help it get out of a jam. He cautiously approaches it when it loses consciousness only to be shocked when it comes back to life. Charlie stumbles upon Bumblebee in the form of an old VW Beetle while looking for scrap at a junkyard. She gets chased away by a bunch of bees who have made their hive in the car, but she returns and fixes it up enough to get it running. After she gets the car to her garage, she investigates underneath it and is surprised when Bumblebee comes to life after a long period of unconsciousness. 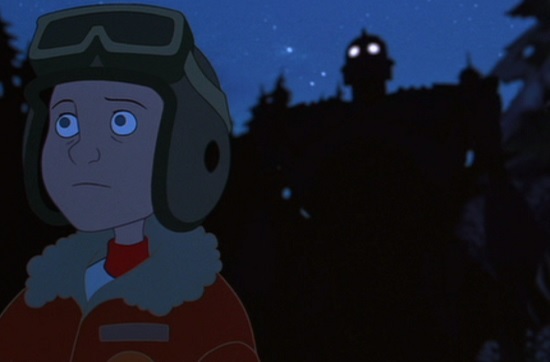 The Iron Giant can’t remember anything about his past, possibly as a result of a concussion he suffered at some point on his journey to Earth. Bumblebee can’t remember anything about his mission because after he arrived on Earth he was badly damaged during a fight with a Decepticon. He emerged victorious, but he got his voice box torn out and his memory was erased as he completely shut down. 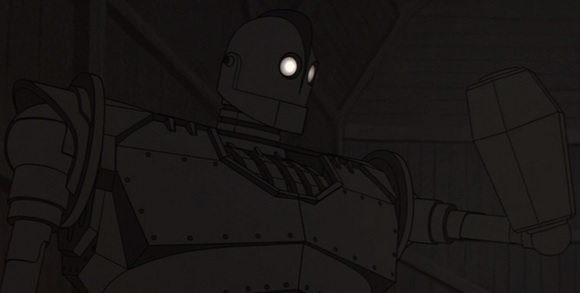 In the scene where Hogarth first sees him, the Iron Giant gets caught in electrical wires and gets electrocuted for a long time. He thrashes but is unable to free himself until Hogarth turns off the power. He falls to the ground, unconscious. When the army finally catches up with Bumblebee, they use tasers to weaken him. He is unable to free himself and Charlie can’t help him. In fact, she touches him and gets shocked, as well. Both of them lose consciousness. Hogarth is followed home by the Iron Giant who gets partially deconstructed after a train hits him. As he repairs himself, his hand wanders into Hogarth’s house, causing the boy all sorts of trouble as he struggles to keep it out of sight from his mother. He is successful. Charlie pursues her mother after she takes Bumblebee for a drive without asking Charlie. He waves his hand at Charlie, and she does everything she can to keep her mother from seeing it. There’s also a scene of Bumblebee crashing through Charlie’s house and damaging everything he touches. There’s no way for her to hide that evidence. The Iron Giant is set in 1957 while Bumblebee is set in 1987. The Cold War features prominently in the first film’s plot. The Iron Giant’s arrival coincides with the launch of Sputnik by the Soviet Union, so that leads to a lot of Red paranoia in the investigation of a government agent named Mr. Mansley. The Cold War is more subtly mentioned in Bumblebee. Military officials worry that the Decepticons will go to the Soviets and share secrets if they rebuff their requests for assistance in finding Bumblebee. Hogarth sneaks the Iron Giant to Dean’s junkyard to hide and have plenty of metal to eat. Unfortunately, they cause a lot of noise, and Dean soon discovers there’s a huge robot eating his artwork. He takes it pretty well, all things considered. Charlie keeps Bumblebee hidden in her garage, but a boy named Memo comes in without knocking to ask her on a date, and he sees the Transformer in his robot form. After an understandable overreaction, he adjusts to this turn of events admirably. Okay, I know this isn’t the strongest comparison, but I noticed it and so I’m going to mention it. Hogarth cannonballs into a small body of water just for fun and invites Dean and the Iron Giant to join him. Unfortunately, the robot takes him up on it with unfortunate ecological results. Charlie used to be a great high diver, but she hasn’t been able to do any diving since her father suffered a heart attack shortly after her last competition. Despite this, she summons the courage to dive once more when Bumblebee gets deluged by water spewing from a broken dam, and she is on a communications tower above him. She goes into the water to try to save him. After being interrogated by Mr. Mansley, Hogarth gets chloroformed and finds himself in his bed when he awakens. He then outwits Mr. Mansley and is able to sneak out of his room and warn Dean that the army is coming for the Iron Giant in the morning. After getting tased by the army alongside Bumblebee, Charlie wakes up in her bed. She manages to sneak out of her room to try to save Bumblebee. 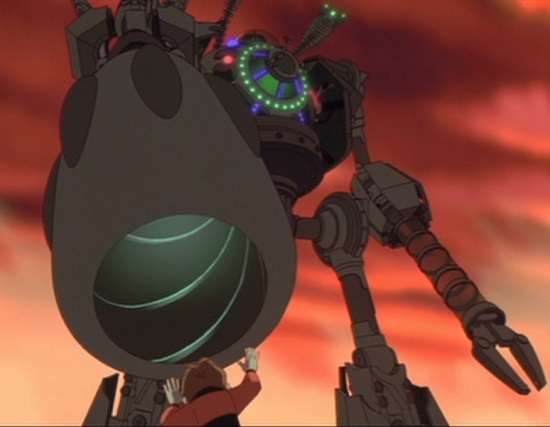 When the army discovers that the Iron Giant is real, they begin attacking it. He first acts defensively, but when he thinks that the army has killed Hogarth, the dent in his head gets repaired and his eyes turn red as he remembers that he is a war machine. He transforms into a death device and wreaks havoc on the army until he reverts back to his normal, peaceful self, thanks to a still-living Hogarth. After suffering a seemingly fatal blow, Bumblebee is brought back to life by several taser blasts, which act as defibrillators on his robotic heart. The army begins attacking him just as his memory is being restored. When he sees that Charlie is in danger, his weapon systems all come back online and his eyes turn red as he doles out destruction on his enemies. But Charlie is able to talk him down before he kills anyone. Early in the army’s attack, the Iron Giant runs away with Hogarth in his hands. Before the army pursues him, Dean cuts them off and tells Mr. Mansley that the robot only acts defensively and that he has Hogarth with him. 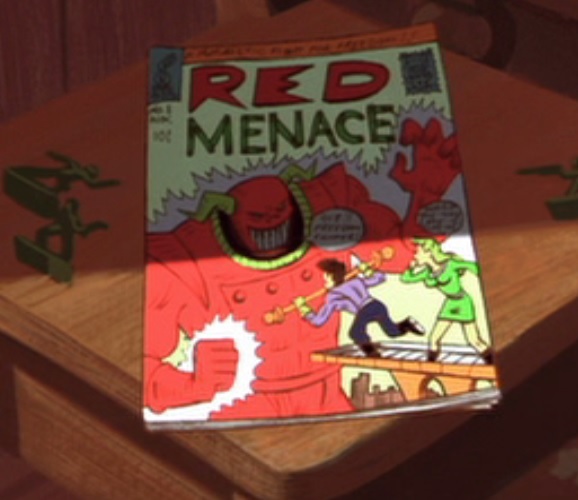 However, this doesn’t stop the attack because Mr. Mansley lies to the general and tells him that the Iron Giant killed Hogarth, causing the general to declare a Code Red emergency. After Bumblebee and Charlie head out to stop the Decepticons from summoning their friends to destroy the Earth, Memo stays behind to try to slow down the army’s pursuit of them. Unfortunately, he has a moment ripped straight out of Splash! in which the army just whizzes right past him with no concern for his safety. Mr. Mansley orders a nuclear strike on Rockwell, and the Iron Giant bravely flies to the rescue to intercept the missile before it reenters the Earth’s atmosphere. He sacrifices himself, letting the missile crash into him and knock him down to Earth in pieces. Bumblebee fires a missile of his own at a dam to destroy the last Decepticon on Earth. He knows that the blast of water will most likely kill him along with the Decepticon, but he’s willing to sacrifice himself for Charlie’s sake. It turns out that the Iron Giant isn’t dead after all. A “tiny” screw in Hogarth’s possession comes to life one night and leaves his room to heed the call to return to its master who is busy repairing himself in Iceland. Hogarth gives a friendly “See you later” to the screw as it drifts away from him. Bumblebee also survives the deluge, and he heads to San Francisco with Charlie. She gives Bumblebee one last hug before letting him go off and find his Autobot friends. I’m not complaining about any of this. I think Bumblebee is a solid, fun movie. Even though it shares a lot in common with The Iron Giant, I think there’s more than meets the eye when it comes to its success. The movie’s heart is in the right place. Sure, it’s filled with ‘80s nostalgia, which could have been annoying after a while, but it comes across as endearing, especially as Bumblebee finds his voice through pop songs. And Charlie is just so darn compelling and relatable. Whether it’s The Iron Giant, Bumblebee, or E.T. the Extra-Terrestrial, there’s something about a child befriending an alien that almost always makes for great entertainment. This entry was posted in Movie Matchups and tagged 1980s, action movies, animated films, bumblebee, cold war, films, movie review, movies, movies based on books, robots, science fiction, the iron giant, transformers. Bookmark the permalink.